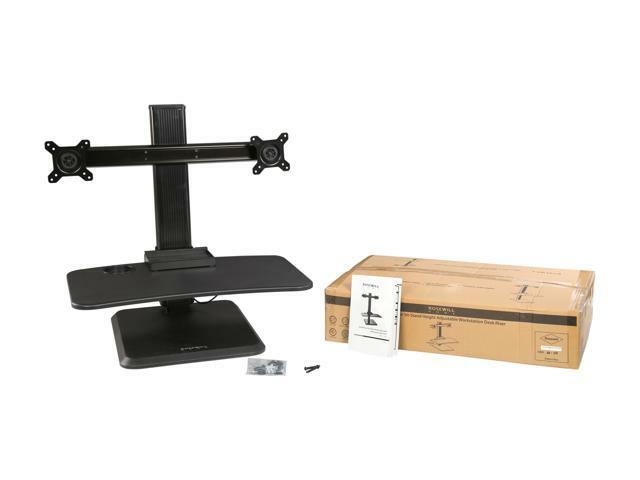 Fit most 13"-24" monitor, and support up to 11lbs on each monitor arm. 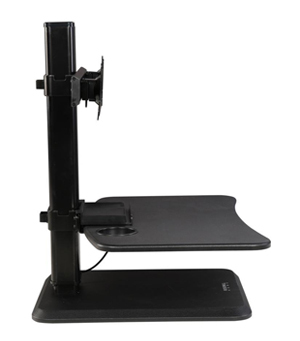 Gas spring sit-stand desk converter for vertical height adjustment. 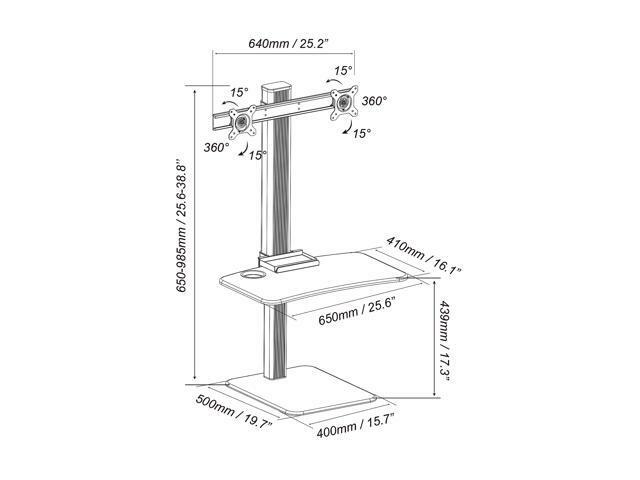 Adjustable monitor mount: -15° to +15° tilt and 360° rotation. The hidden cable management keeps messy cables out of sight. 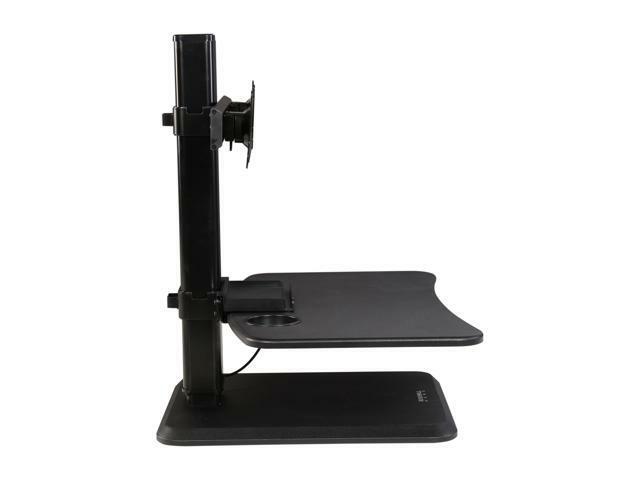 Transform any desktop into a dual monitor sit-stand workstation with the Rosewill RMS-17004. 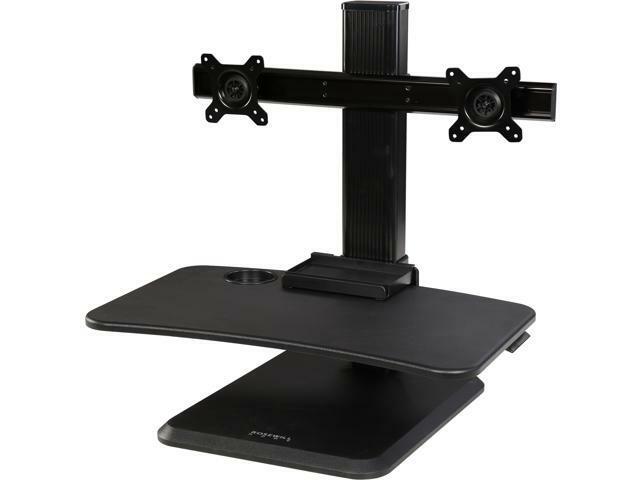 With dual arms, it can hold two screens at a time to create an expansive viewing experience while helping save much desktop space. 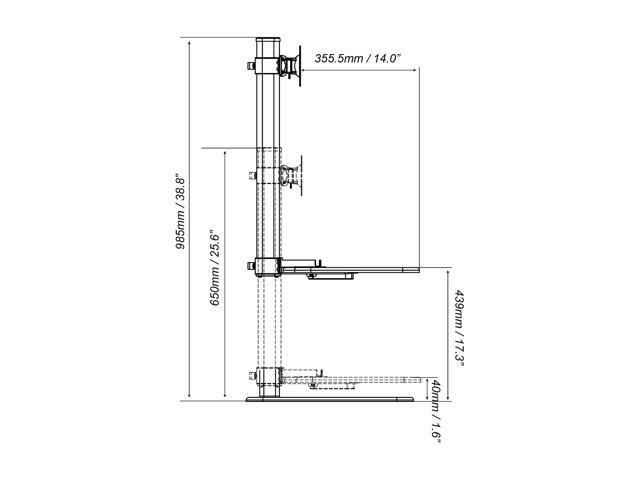 Each arm supports screens from 13" to 24" in size, weighing up to 11 lbs. The Rosewill RMS-17004 also features a large tray (25.60" x 14.00") to accommodate your keyboard and mouse. 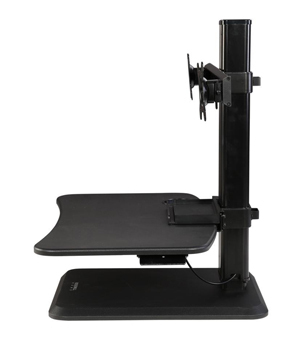 Featuring gas spring technology for easy vertical height adjustment, the Rosewill RMS-17004 allows for effortless switch between standing and sitting work styles. 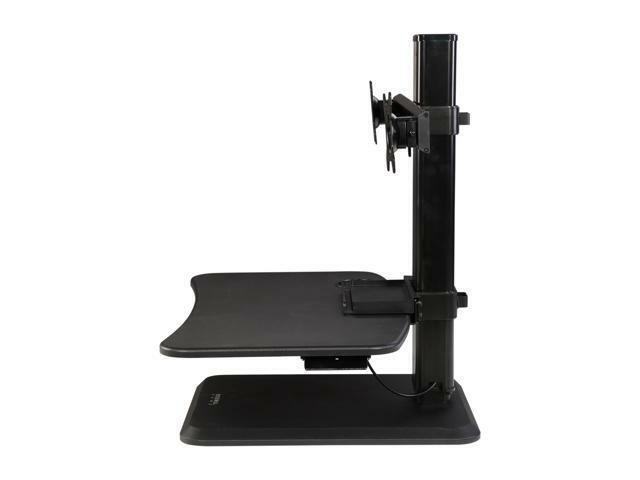 Easily adjust the height to meet your specific needs and promote fitness and comfort as you compute. 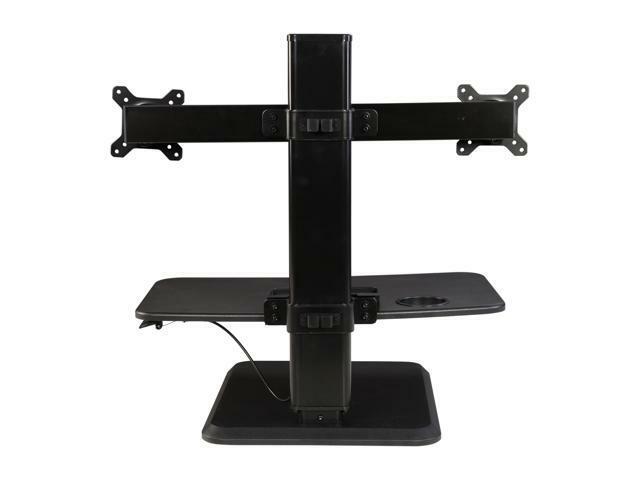 Position your displays just the way you like and enjoy an optimal viewing experience. 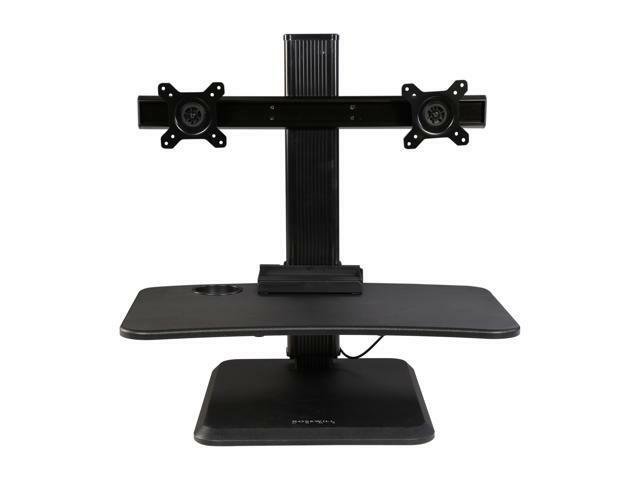 Each adjustable arm offers a tilting range from -15 to +15 degrees and allows for swiveling from -90 to +90 degrees as well as 360-degree rotation. 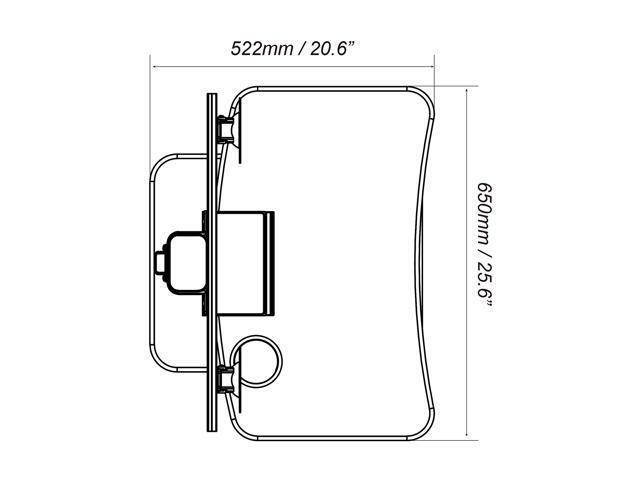 Additionally, the Rosewill RMS-17004 features a 100x100 mm maximum VESA mounting pattern to fit a wide selection of monitors/displays. It’s easy to install. The hidden cable management keeps messy cables out of sight, creating a clean, professional look. Specifications Screen Size: 13"-24" Load Capacity: 0-11 lbs. 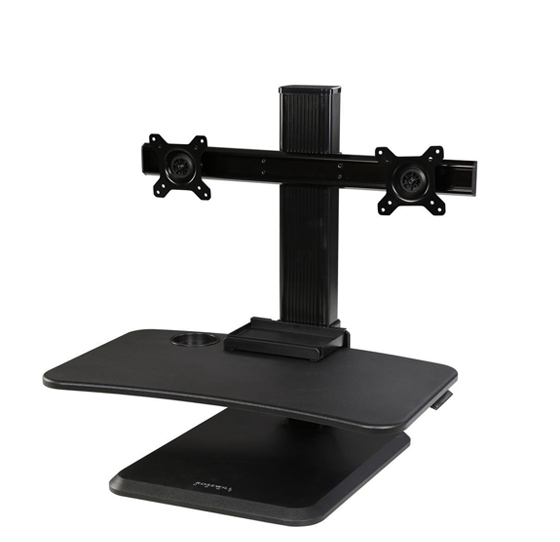 each arm Tilt: -15 ~ +15 degree Swivel: 180 degree Rotation: 360 degree VESA: 75/100 Keyboard Tray size: 25.60" x 14.00"